The field of marketing has shifted from a feel-good field of branding and awareness where success was measured by vague measurements like how favorably someone thought of your brand, to a scientific field based on precise metrics and optimizations where measurements and insight are now mandatory tactics. To keep your executives calm and your marketing team focused, you need a marketing dashboard based on marketing KPIs that are used as the foundation for all decision making. This is simply how many people have seen your campaign or content. Common metrics would be page views, time on page, click through rate or downloads. This can be slightly more challenging for non-online campaigns but can be measured by in-store visits, in-bound phone calls etc. Social or sharing metrics measure how viral your campaign or content is by measuring how often your viewers are sharing it with their friends and colleagues. Most relevant for online campaigns, sharing metrics can be measured by looking at the shares, likes and tweets your content is getting. This is where your efforts are starting to bear fruit. Lead Generation Metrics can be measured by form fills, calls recorded or any other call to action your campaign is driving. 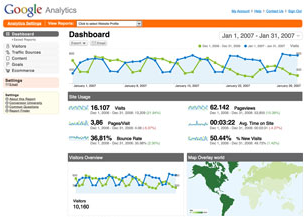 Common metrics you will see here are new leads, converted leads or conversion rates. Often more difficult to track because of a user’s meandering, exact source is the only way to attribute revenue to a specific campaign and this is where tracking parameters and cookies come into play. In many traditional organizations, marketing’s impact is measured up until the new lead is created at which point the sales team takes responsibility. 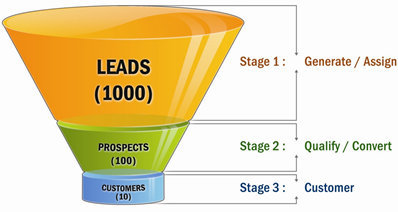 In today’s cutting edge organizations, the entire revenue cycle is measured in one set of funnel conversions where the team is responsible for the entire cycle from lead generation to deal closed. Organizations with this priority are using an integrated lead collection, marketing automation, and Customer Relationship Management (CRM) tools and are continuously measuring and optimizing the entire cycle. Common metrics measured in these organizations include conversion rate, lead to close ratio, cost per lead and lifetime lead value. Agreeing to and measuring a relevant set of metrics is fundamental to understanding the success and failure of a campaign and an entire marketing team. Dashboards and reporting tools that are accessible to all team members, as well as to management, become the lifeblood of the marketing team. While understanding the uses of these common KPIs is important for any business, ultimately choosing which KPI goals to set will have to be tailored to your business and your users. Set clear, measurable goals and reassess at definite intervals. The KPIs listed here are just a sampling to help you determine how to assess your project based on what is most useful to you. Once a base set of metrics is selected, the next step is crafting elegant, effective marketing dashboards to track your progress. You can download this FREE white paper to learn 5 secrets to creating powerful, actionable marketing dashboards. Or check out a Sisense Dashboard and see how interactive browser-based dashboards can be built with a user-friendly interface that anyone can learn and requires no programming skills.